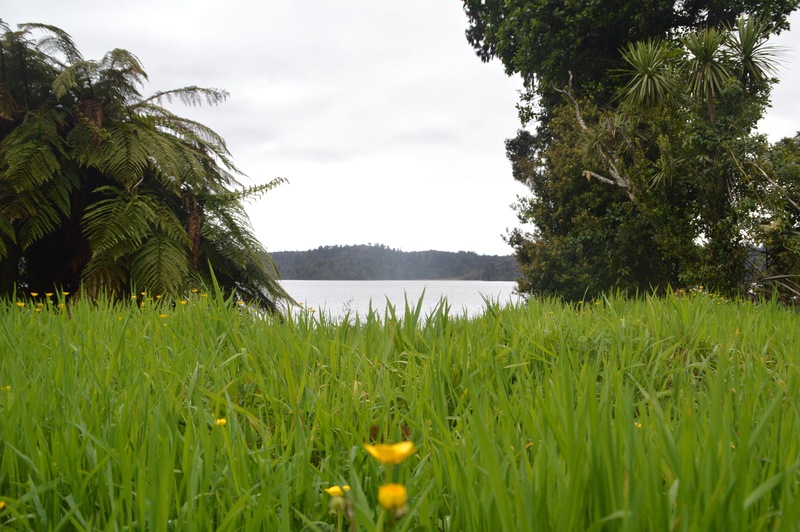 Taking a break this week from the NZ blogs to write about Tin Can Bay. After we returned from NZ, we undertook the short 2 1/2 hour drive from Brisbane to spend a few days relaxing at Tin Can Bay. Our choice for accommodation here was at Dolphin Waters Motel, on the Esplanade. Very friendly motel managers, big roomy apartments including kitchen and laundry facilities. All in all good value for the price. Upstairs, we had a wonderful peaceful view across the Esplanade. The generous balcony was plenty roomy enough for us, also making a fantastic temporary outdoor office for keeping up with work commitments. Sunrise was definitely worth being up and about for. Filtered golden hues of sun rays dancing across the water, providing a wonderfully colourful backdrop from the motel balcony. The pool area is inviting with a natural rock look, your eyes are drawn across the mirrored pool to the esplanade beyond. Here, we were lucky to meet an amazing group travelling through who were also out to relax and enjoy. 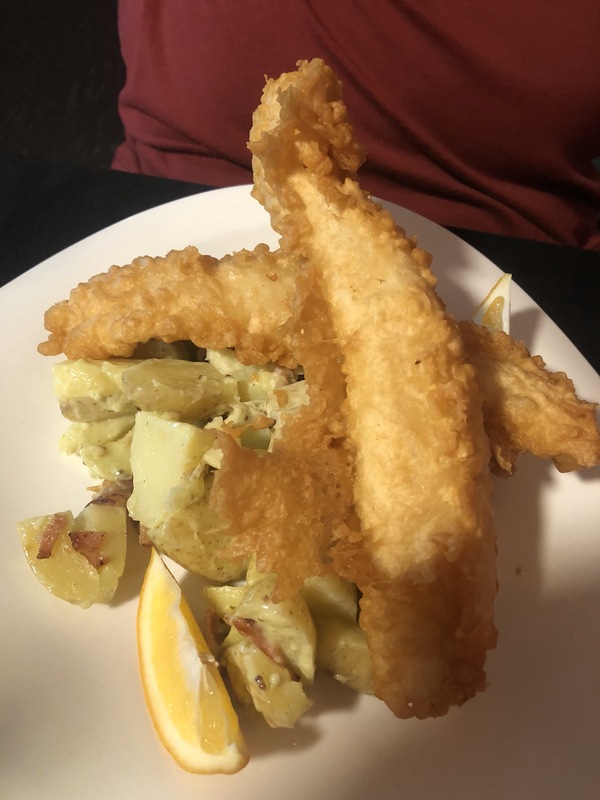 Exploring our area, we stopped in for lunch at the Marina, where we discovered the laid back restaurant Marina Bar & Grill, with lovely, well presented food and an entertaining owner who fed the fish in the marina for us to show how many there were. Enjoying our view across the Marina, the stresses of life started to slip away. 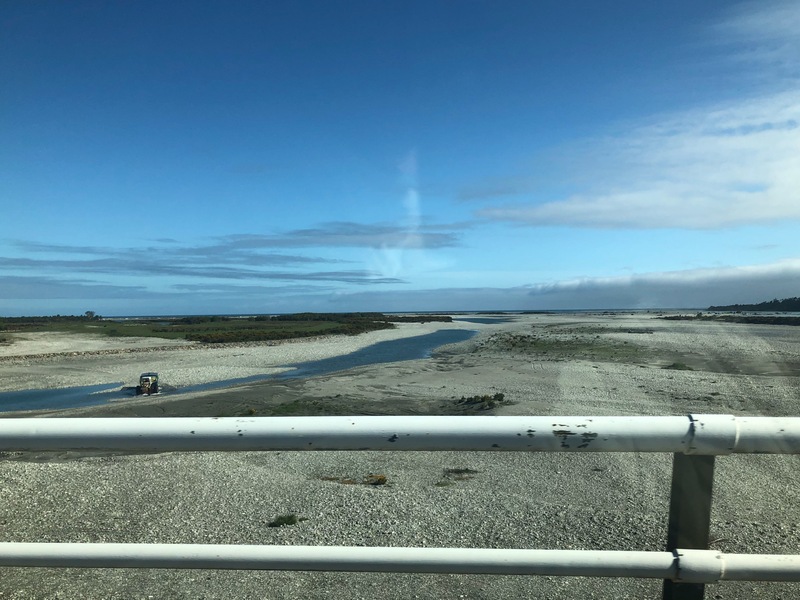 Usually all the water is clear, however recent rains had left a muddied look through the sea water. 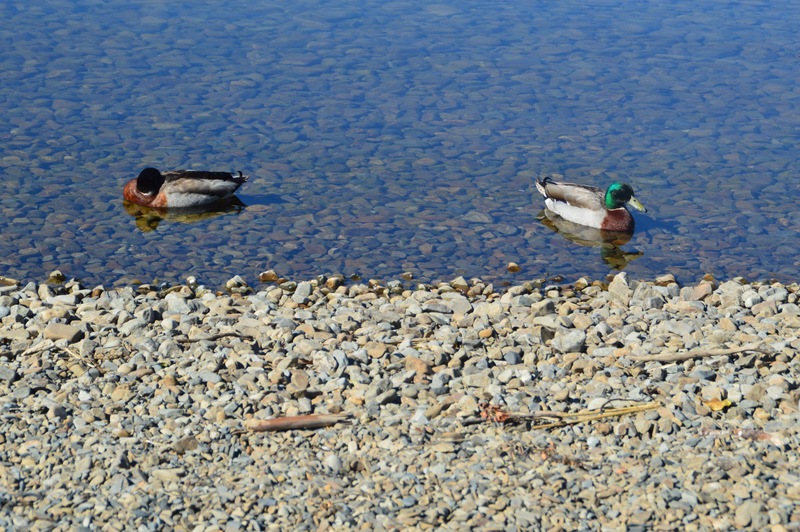 We still had a clear view of the many fish swimming happily around the marina area. 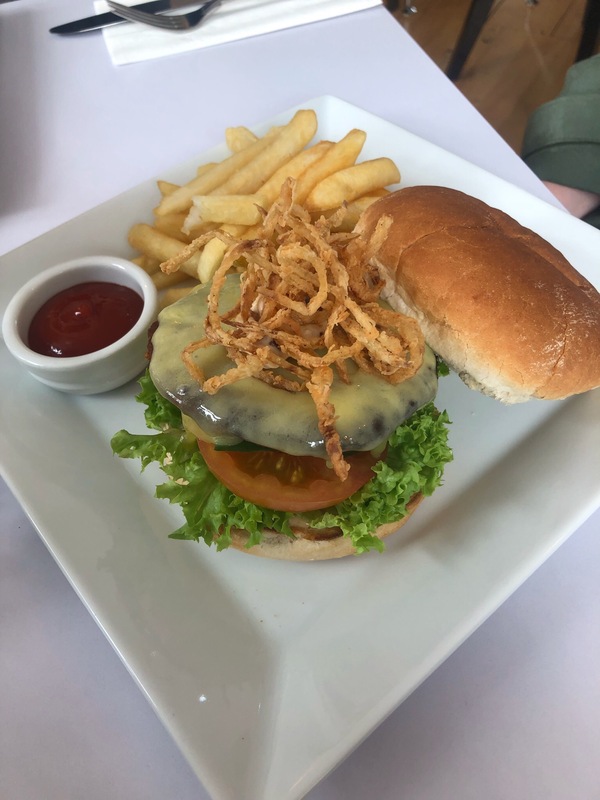 700 metres approximately from the Dolphin Waters Motel, Barnacles Cafe & Dolphin Centre, not only a cafe which provides fulfilling meals but also the opportunity each morning to feed the wild dolphins. For a $5 entry fee you can learn about the dolphins plus receive a discount on your breakfast. Nice, hearty meals, certainly worth sitting here with a cuppa whilst watching the dolphin, listening to the volunteer talks and, participating in the feeding. On two days we made the trip down to hand feed the dolphins. What a wonderful soul cleansing experience. There is no other way to describe this without experiencing for yourself. 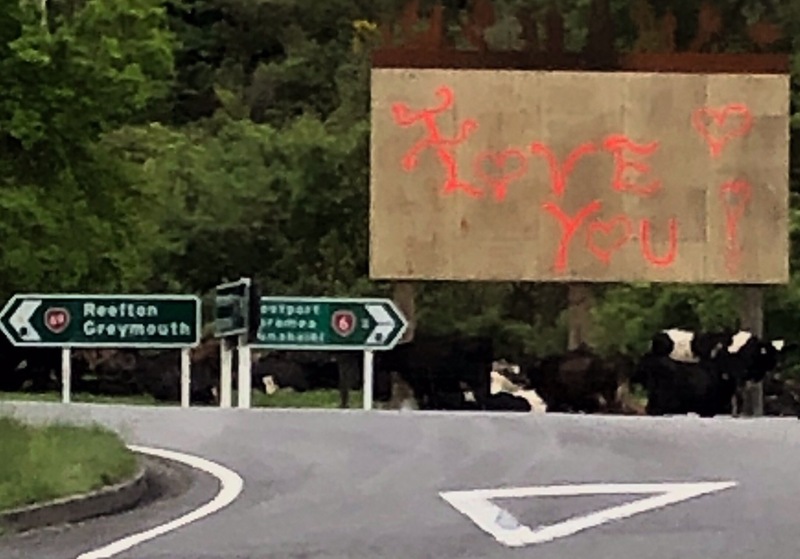 We found the locals to be friendly, relaxed and out of all the places we have visited, this little gem close to home really tugged the heart strings. We loved it. 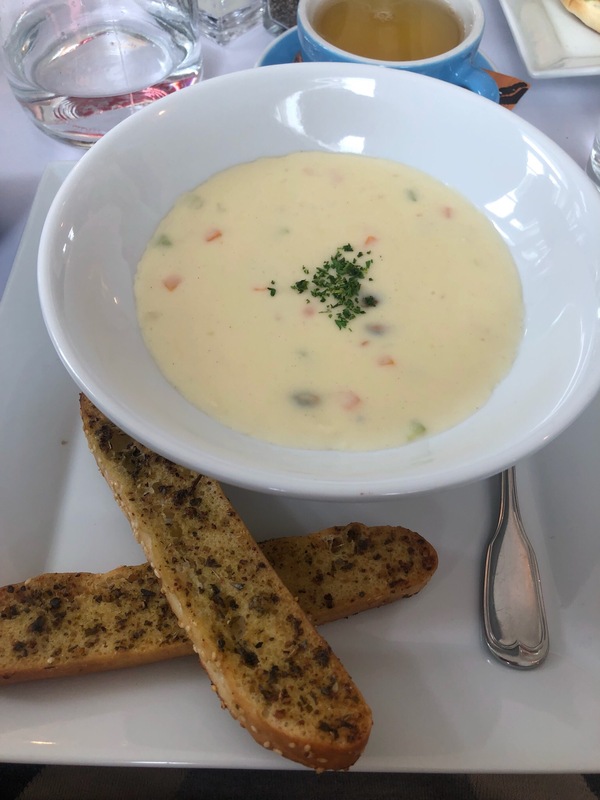 All the meals we had were fantastic, accommodation was great value and the dolphins, well that was on another level again. After being invited by the lovely group we met at the pool, we joined them for dinner at the local bowls club, making use of the bowls club courtesy bus. 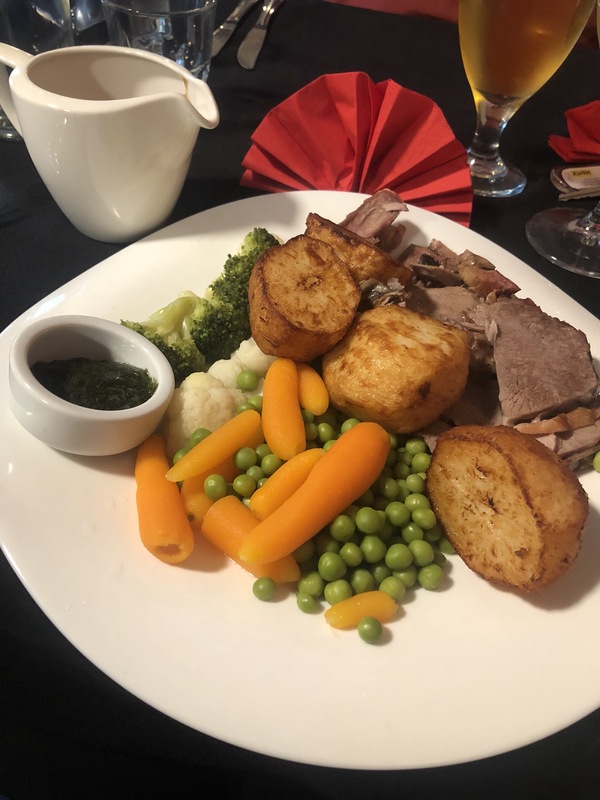 True honest meals at a very affordable price, with raffles and a couple of pokie machines, the evening was a lot of fun. 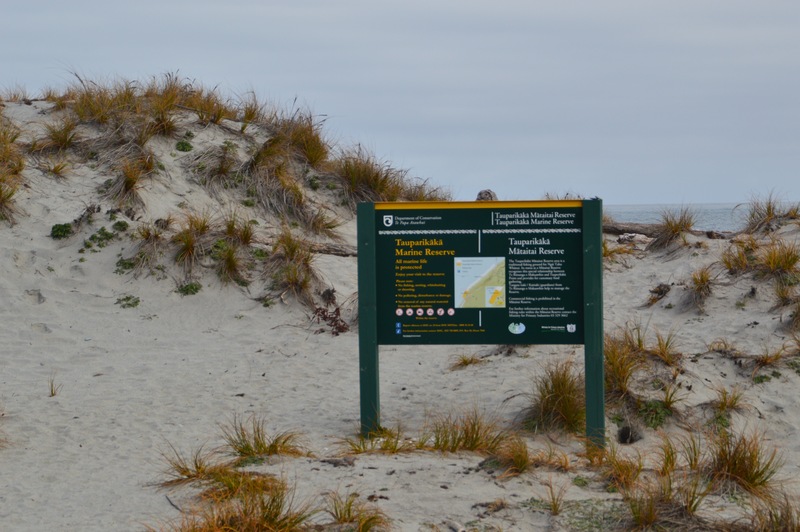 Close by are Rainbow Beach and Inskip point, where we took a drive one day for a look around. Beautiful vistas everywhere we stopped. Well worth a drive around. We have yet to visit Fraser Island, but for anyone doing so, take particular care to read and understand all the warnings and advice given, particularly for 4WD vehicles heading over. We fell in love with Tin Can Bay, mainly due to its fabulous relaxed feel. Most definitely heading back. Ill leave you with this chap, a pelican with attitude who frequents Barnacles Cafe. Happy to have his photo taken by his adoring fans, however everyone was warned not to get to close, he has been know to show his disapproval with a little more than a peck! 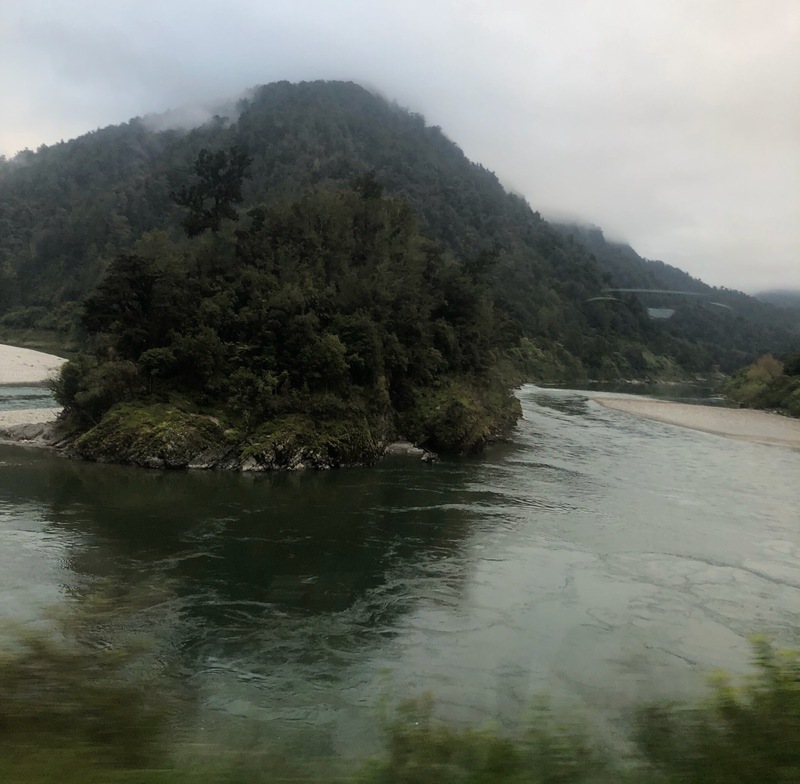 After partaking of the hospitality and activities on offer in Queenstown, it was time to make our way up the West Coast of the South Island. 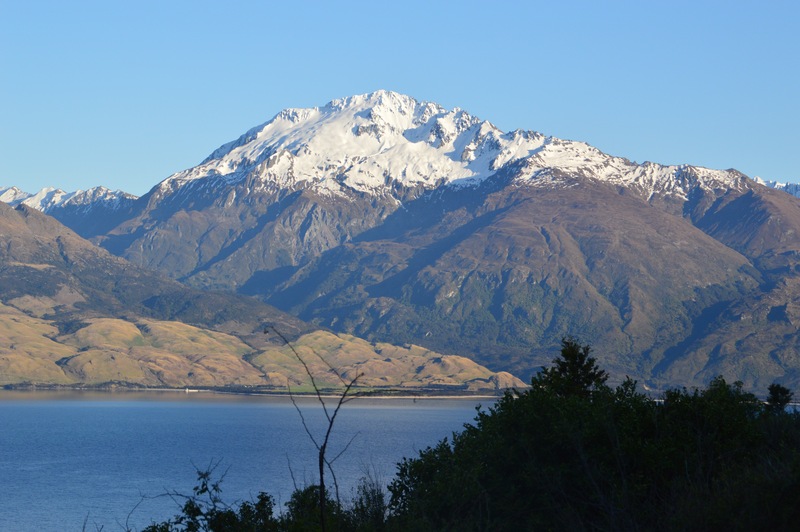 Not far from Queenstown is the Crown Range, in fact just across the road from The Roaring Meg. 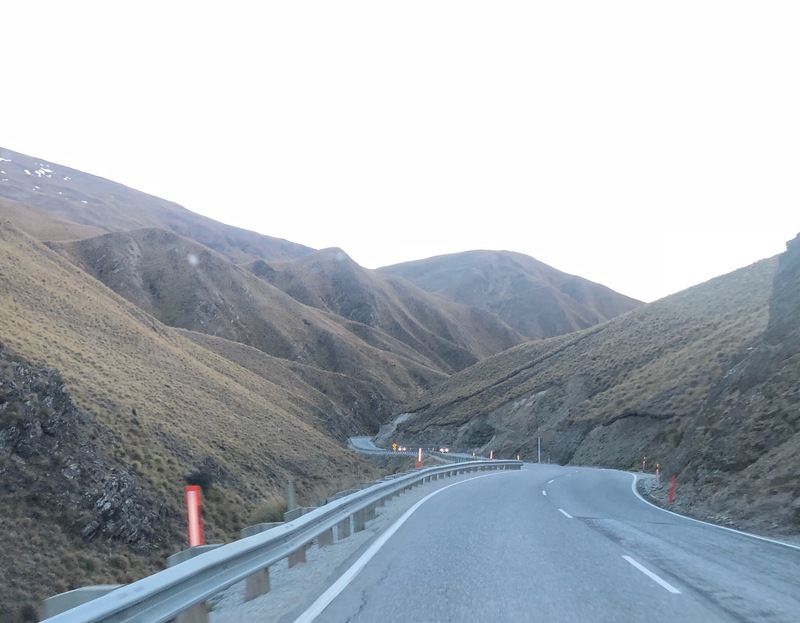 The highest road in New Zealand. 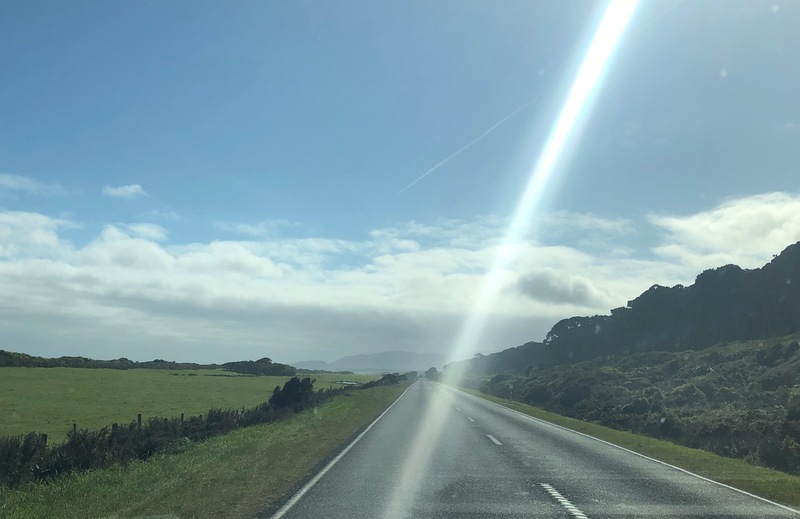 Often closed to traffic through the winter, you will need to time your visit if you wish to enjoy the incredible views on offer throughout this drive. For tourists and visitors to the country, it is imperative to heed all the warnings which come with travelling this route. The first viewing bay, not long after a number of twists and turns, gives you an incredible view across the countryside to the Remarkables in the distance. This ascent is quick, and this seemingly high view is small compared to what is on offer higher up. 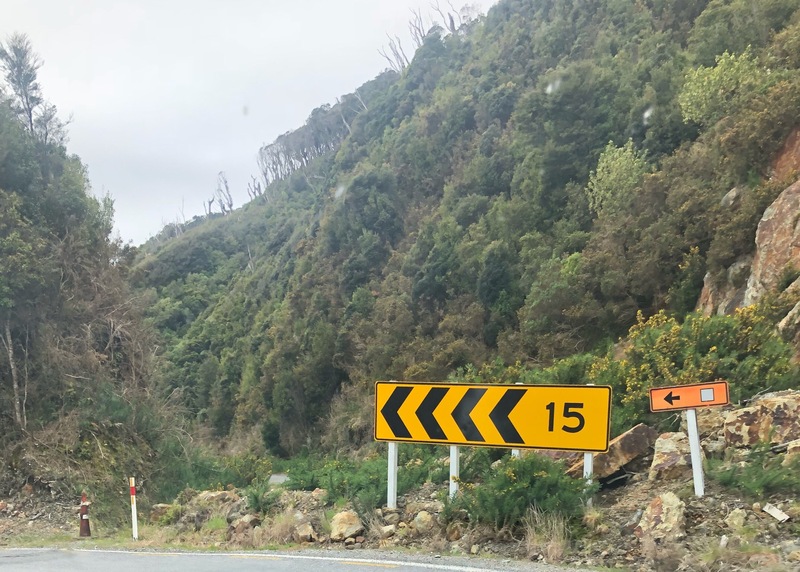 As we continued to snake our way on to the top of the Crown Range, the sheer height of the road was illustrated by the traces of snow remaining on the mountains close to the road. 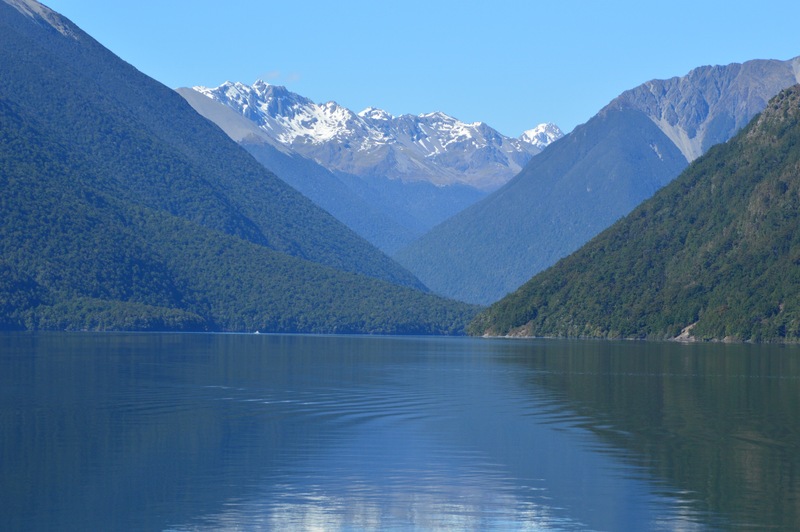 Once you reach the peak and begin the descent into Wanaka, the scenery continues to change. 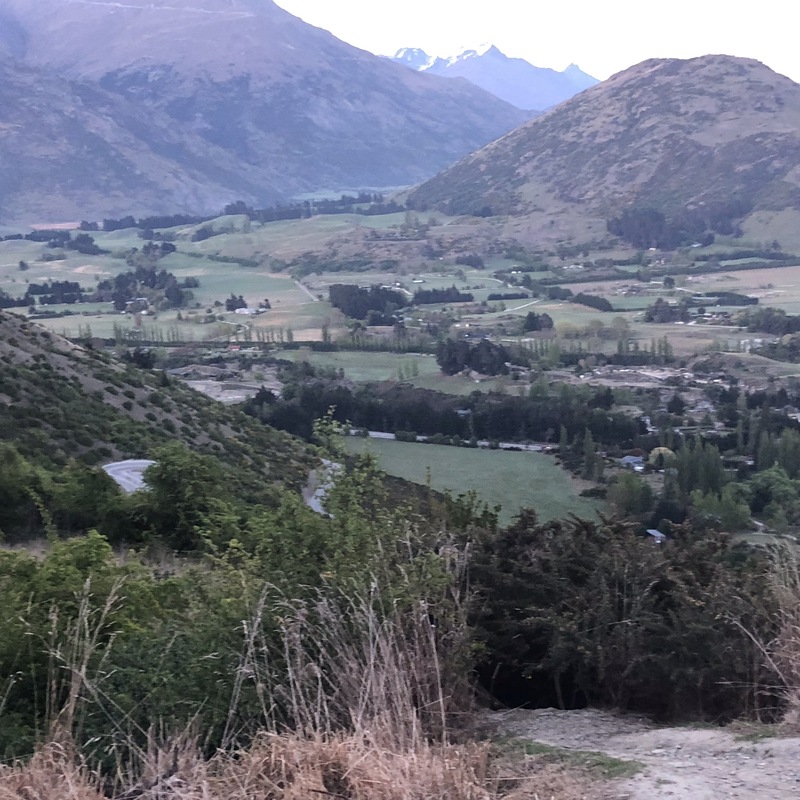 Mountains, paddocks, and even the famous bra fence, provide a cinematic view as you near Wanaka. 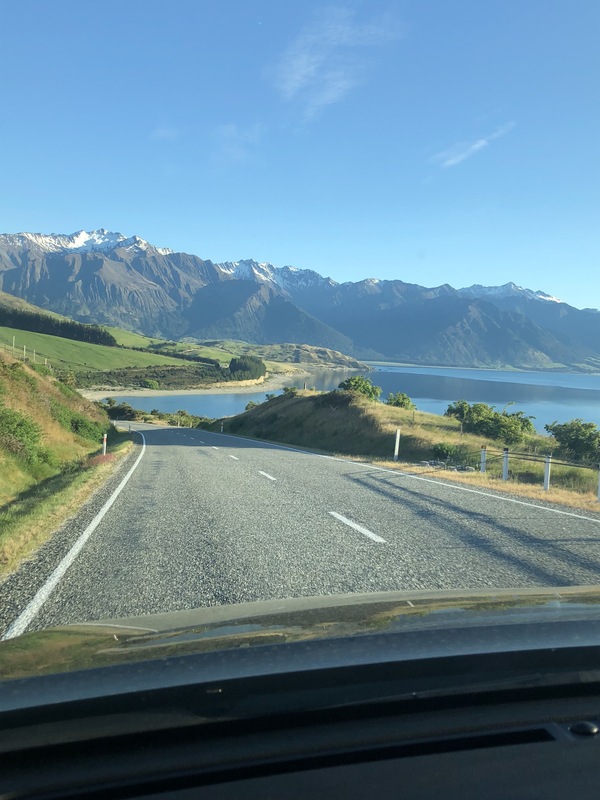 We drove through Wanaka today, as time was limited, but apart from the sensational lake views, Wanaka itself has a lot on offer. Well worth taking the time to check it out, that is if you can tear yourself away from the driving and amazing lake views. Every corner provides a different perspective. We stopped along the way to take photos and simply marvel in the stunning countryside. 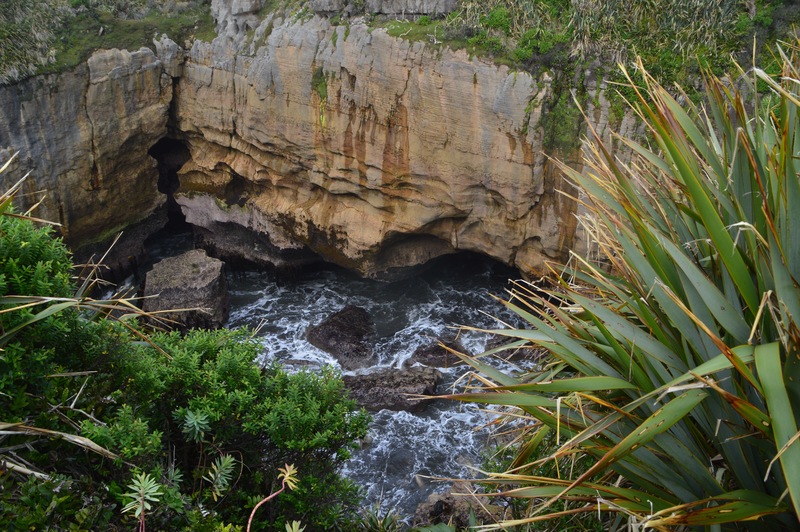 today we were to see a lot of dramatic changes in the scenery. 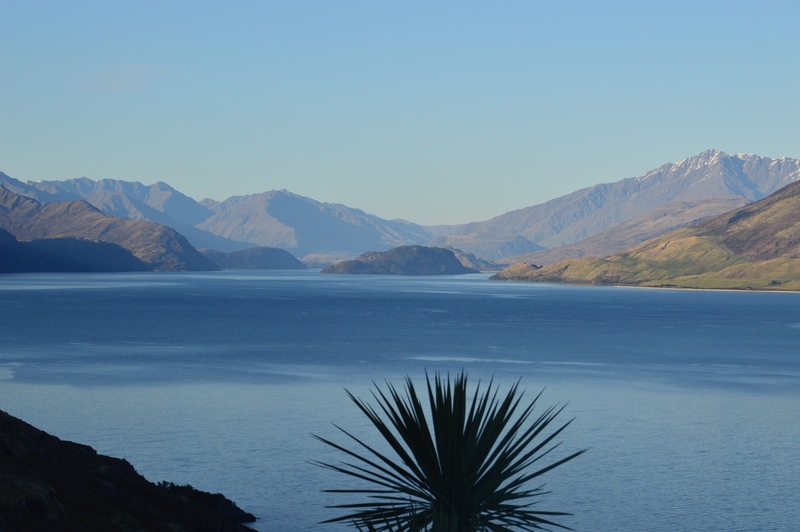 Lake Hawea, pictured above, is another picturesque lake on this scenic drive. Rugged mountains, reflective lakes and winding roads, meandering from flat to hill in no time. And better still, this amazing view was reflected in the bonnet of our hire vehicle. Above are two shots taken from a viewing stop next to Lake Wanaka. 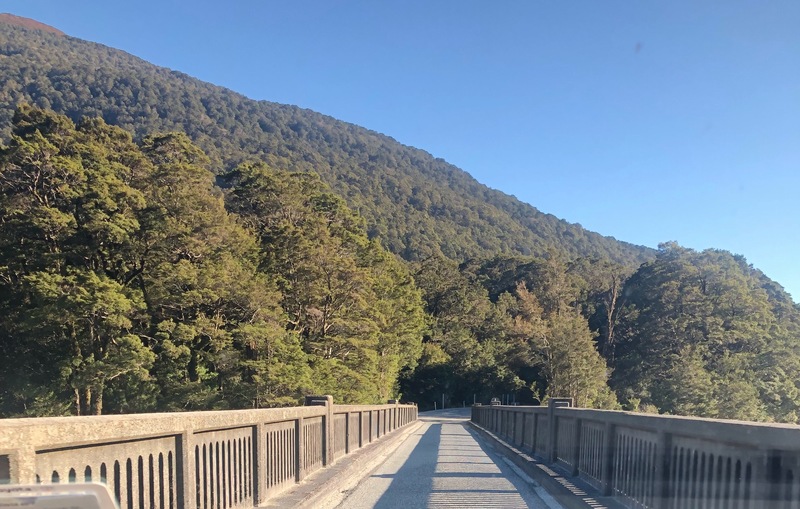 This first leads the eye back towards the lake township of Wanaka, the second is part of the view you will pass on your way through to Haast. 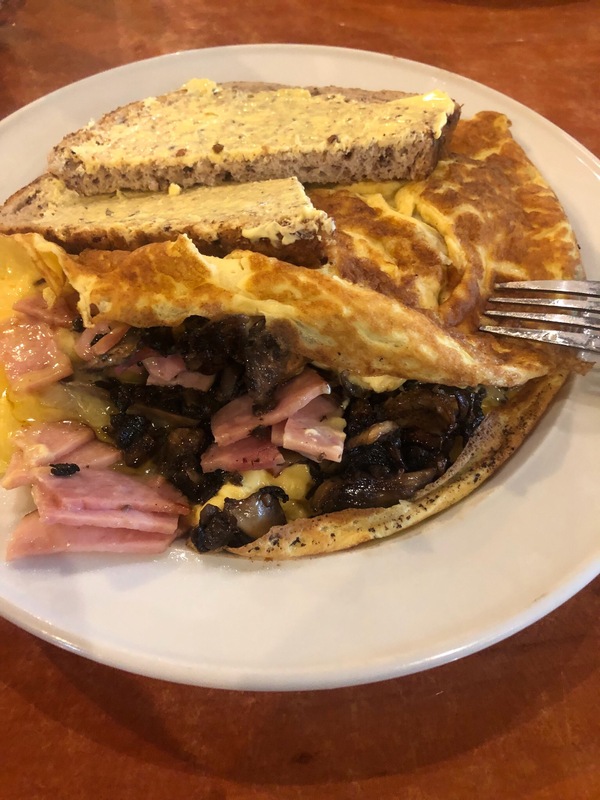 Our original plan was to stop in Wanaka for Breakfast, however as we drove through, I think we had just beaten the opening of the cafes for the day. 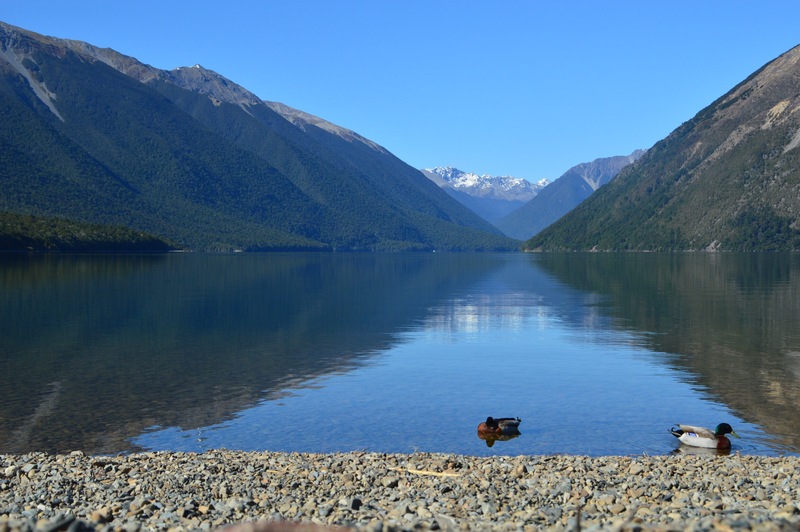 As we drove past the neck of Lake Wanaka, we came across Makarora Cafe. The sign on the carpark was enticing, it looked like someone here had a sense of humour. 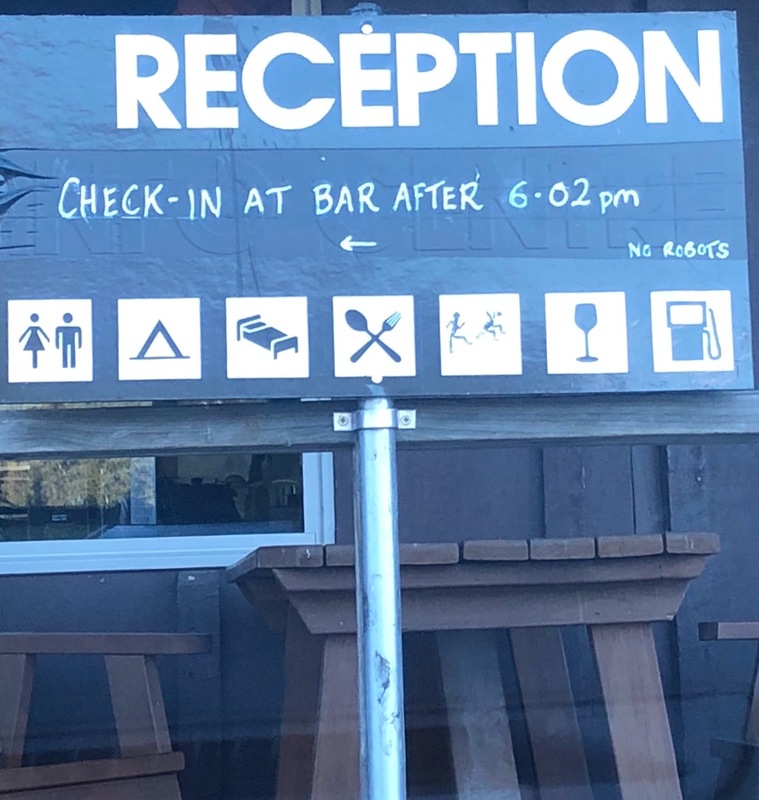 We are not sure why you check in after 6:02PM or why you cant take your Robot, however it certainly provided for interesting conversation as we restarted the road trip. Given the outside temperature, it was pleasing to indulge in a hearty breakfast near an open fire. Friendly service and big hot drinks and meal serves had us warmed and on our way in no time. 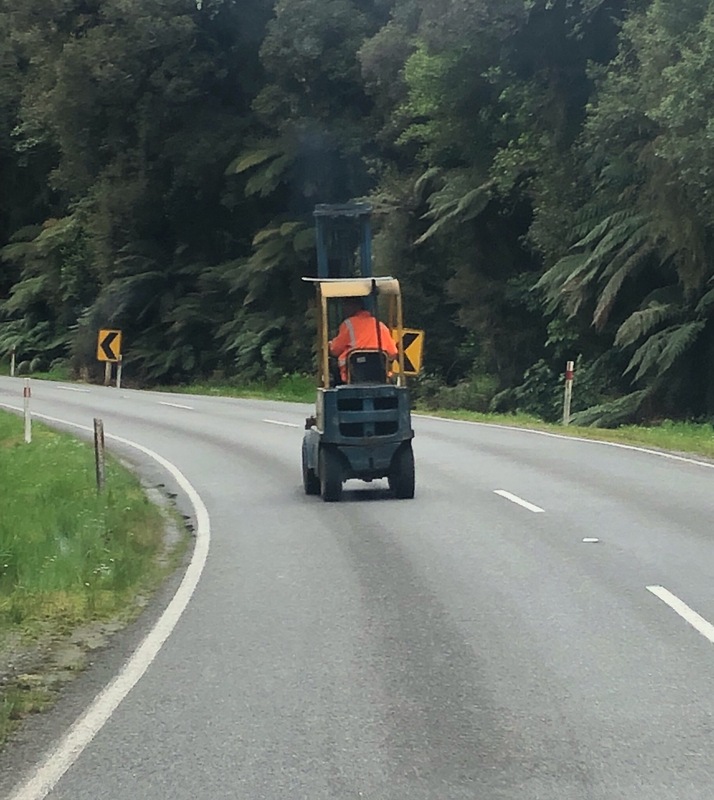 Little tip, one I should probably have shared earlier, but if you are doing this drive, load up on the insect repellant. No matter where you stop from here on in, those Sandflies feel they are obliged to join you. We played a number of road games but one we should have paid played was counting the one way bridges. 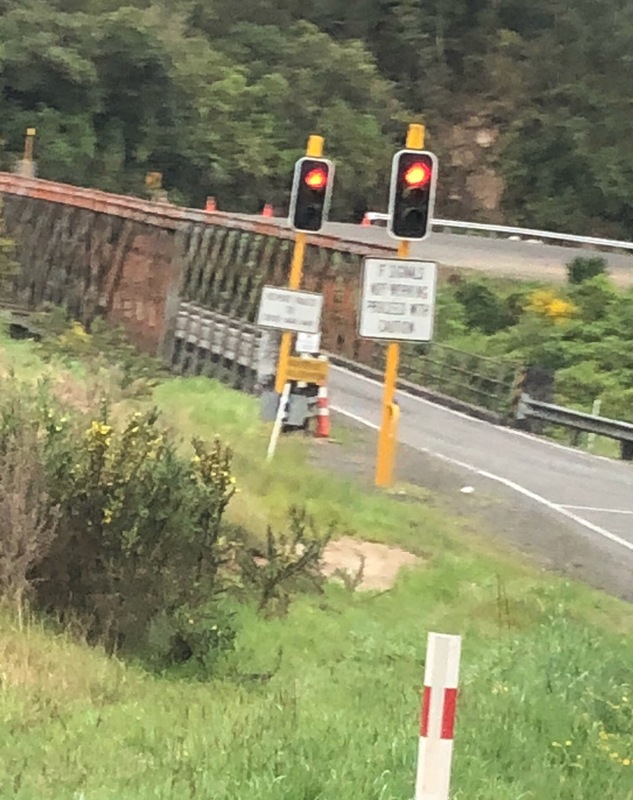 Oh and the road cones, seriously where is that factory, those road cones are millimetres apart every spot we drove past with road cones. Never have we ever seen so many. 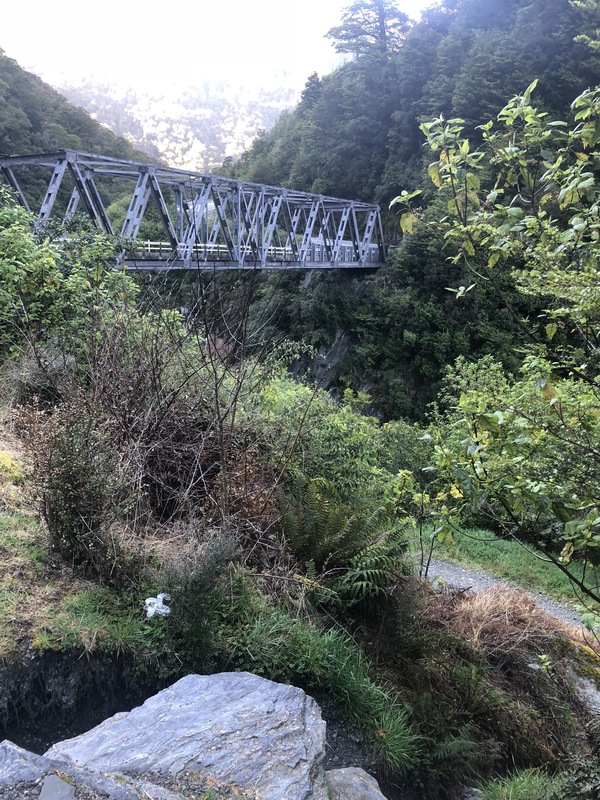 The second bridge is the Gates of Haast, here’s a view looking back across the bridge suspended by bush and rock with that dash of cool scenery in the background, and foreground. There are a few stops along the way, some on the other side of the road, so we chose to stop at Thunder Creek Falls, a mere couple of minutes walk from the road. 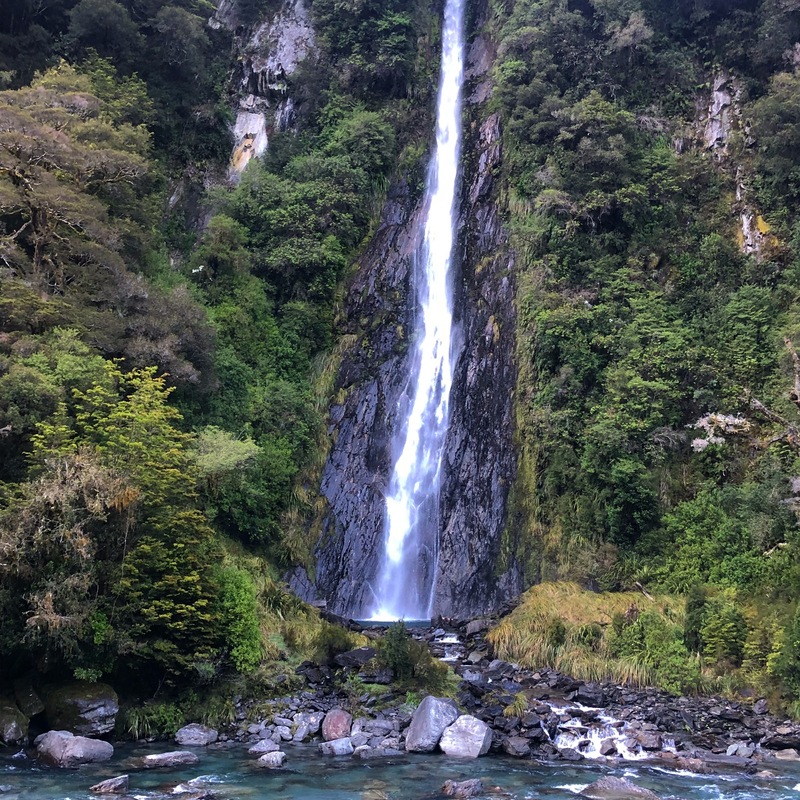 25 metres high, this breathtaking waterfall thunders down onto the crystal clear waters below. Beautifully clear blue waters rush past the waterfall, they are simply stunning. 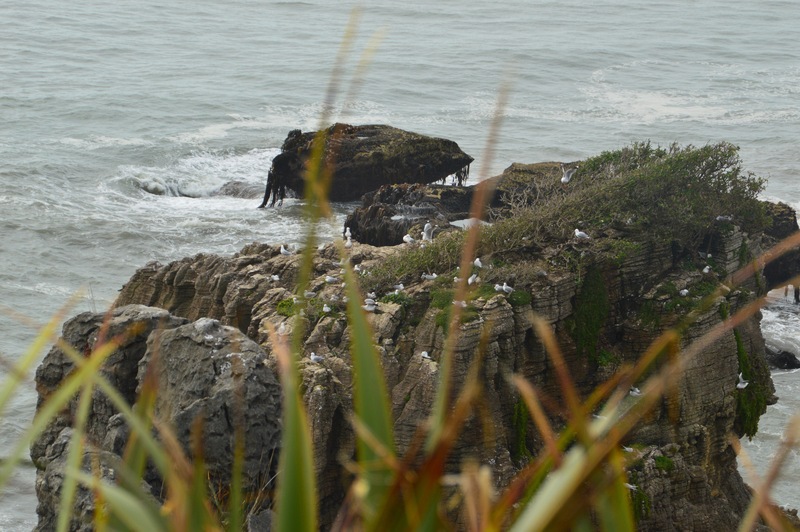 Head down to the lookout and you can take advantage of very close up view. 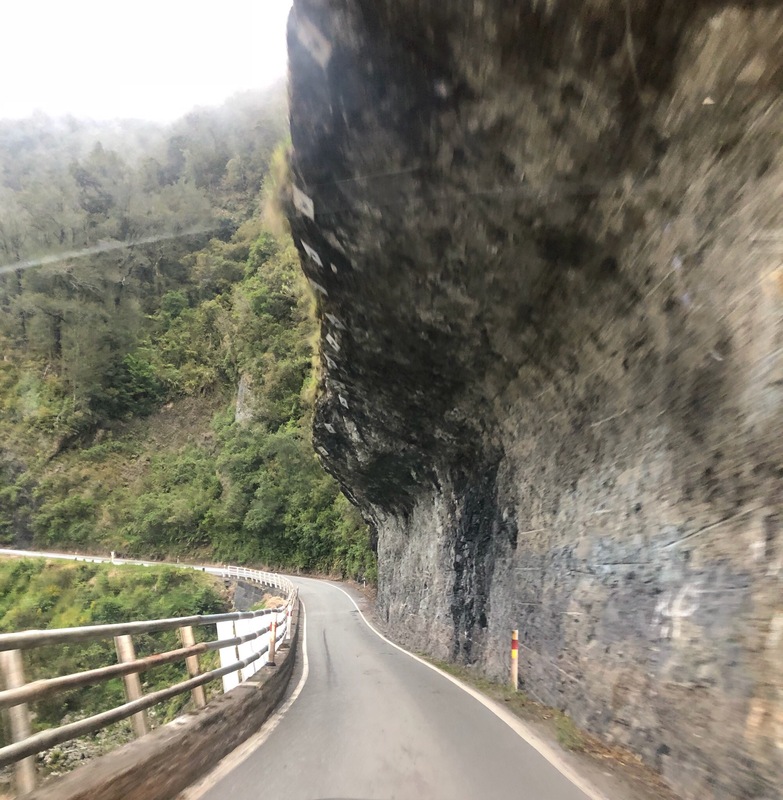 Welcome to Mt Aspiring National Park, your viewing as you drive through is ever changing, lets hope you’re not the driver. 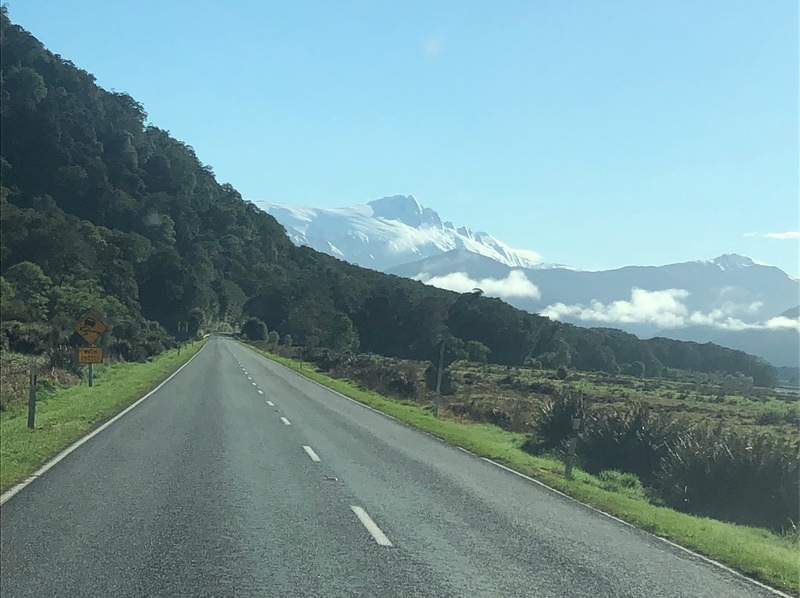 Mt Aspiring looms into view, throughout the road trip. 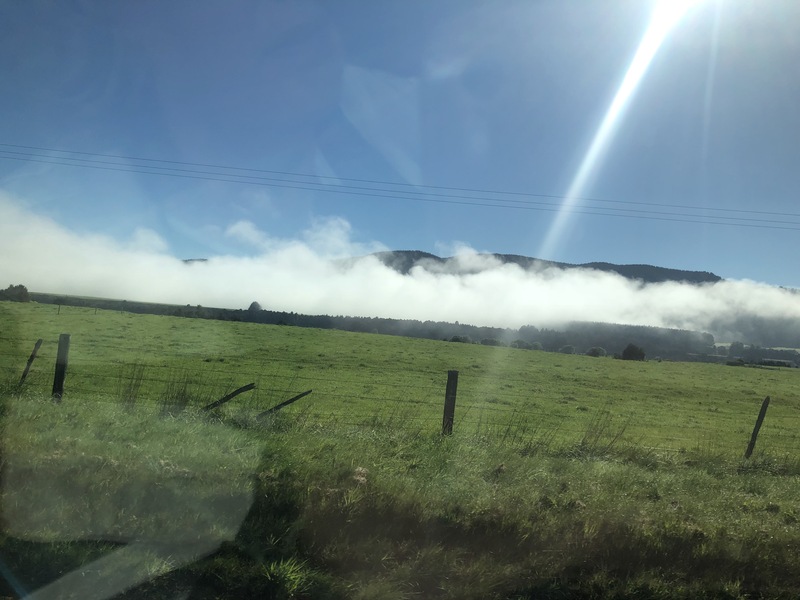 Hidden every now and then by native bush, the low lying cloud gives you an idea of the sheer height of this mountain. 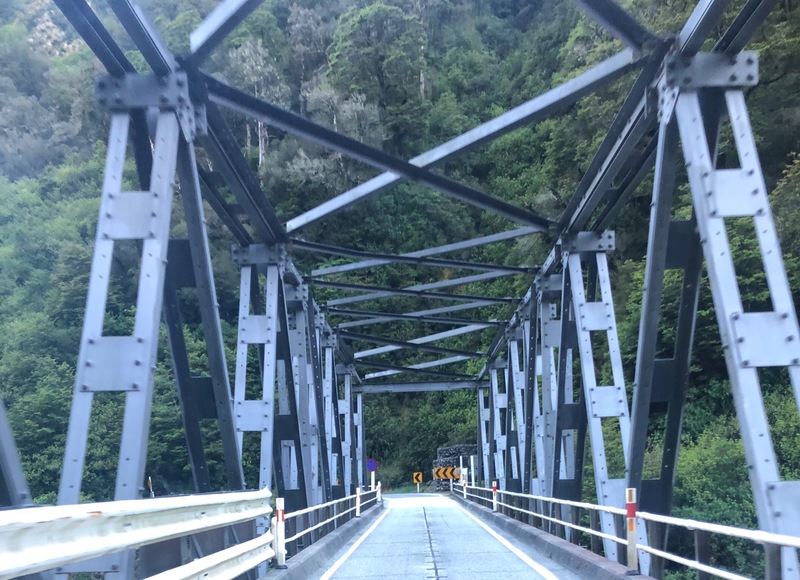 There was no time to stop on this trip to stop at Haast. However, should you be looking for local whitebait, there is a lovely little stop at the airfield. Here you can buy the whitebait or taste the wares. We now changed from the lakes and mountains behind to the wonderful rugged West Coast. 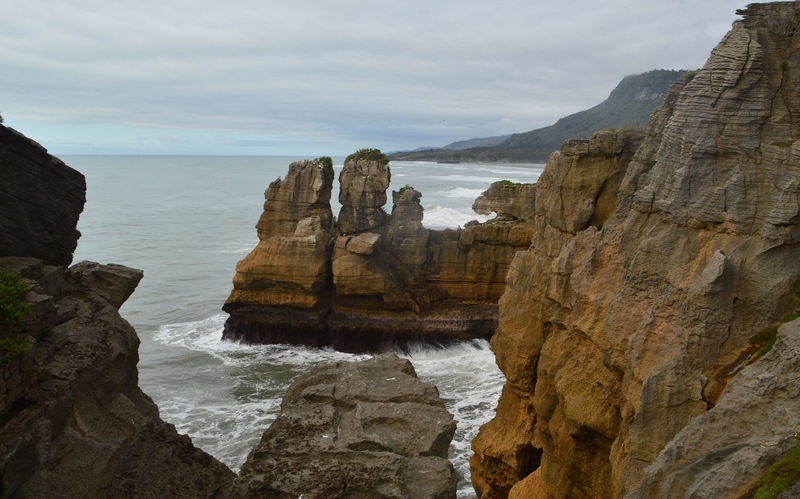 Unspoilt in many places, natural and just plain rugged, welcome to the West Coast of New Zealand’s South Island. Can you see how steep that little hill illustrated by it’s Mohawk of trees which struggle to stand up straight along the ridge. 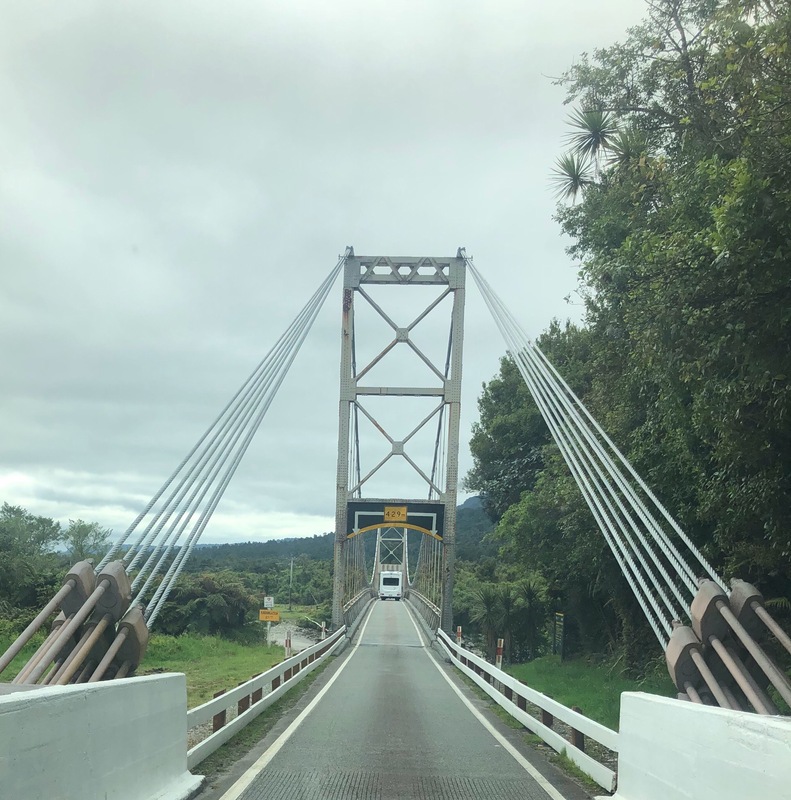 Ok yes its another one way bridge,but can you see how different they all they all are? 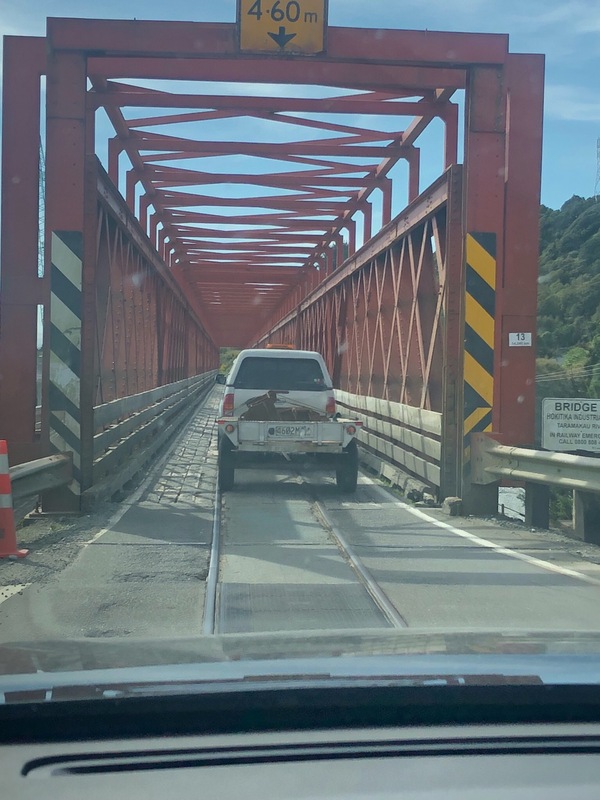 Each bridge is individually engineered, in a way it breaks up the road trip. 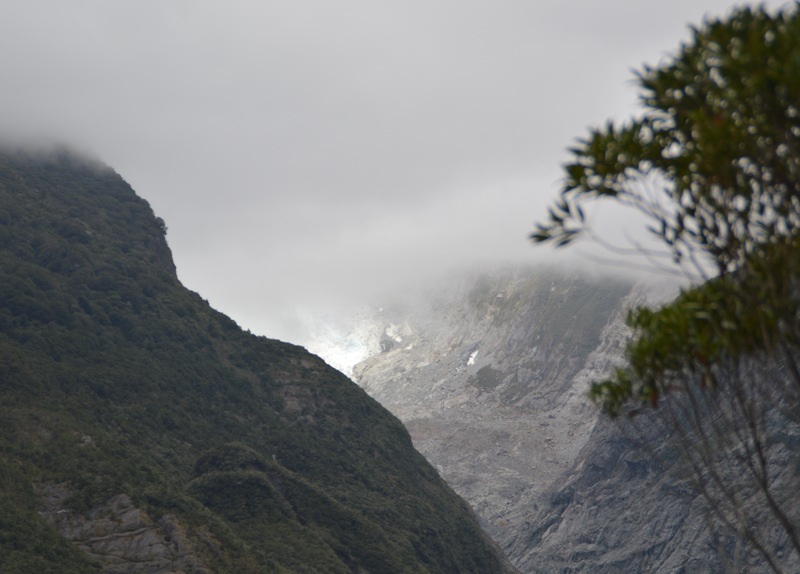 And now, around 4 and a half hours since leaving Queenstown, we arrive in the first Glacier township, Fox Glacier. We loved this, coming round a corner, and oh, here’s a random forklift. Fox glacier itself is before you reach Fox Glacier township from this direction, so watch out for the signs. 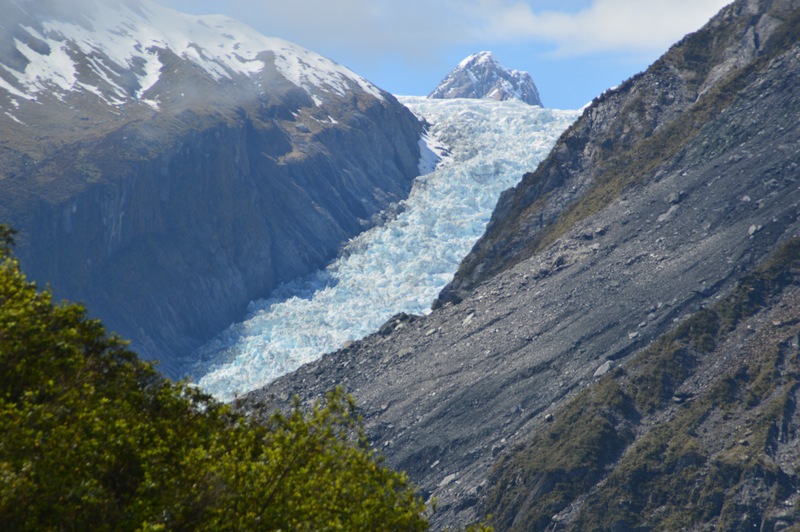 This Glacier is the best viewing if you only want to see from the carpark, with a zoom lense. We simply did not have the time ( a good couple of hours) to traverse the walk through to the Glacier. However it is nice to be able to see the ice front from the carpark. This first leg of the drive has been full on. I’ll leave you now to catch your breathe and take in this simply stunning scenery. From lakes to mountains to bush and beach. Watch out for the next leg of our road trip.